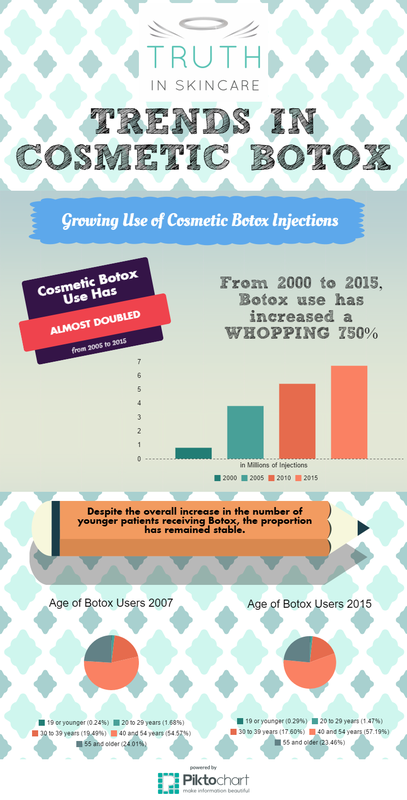 Here's an infographic on the increasing use of Botox. Although many more younger patients are using Botox for cosmetic purposes, the encouraging finding is that the proportion has remained stable. Data has been obtained from the American Society of Plastic Surgeons and numbers are estimates.